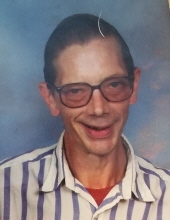 Steven M. Predick, 62, of Leechburg passed away January 11, 2019 after fighting a courageous battle with cancer. He was born April 9, 1956 and the son of the late Emil (Anna Povacovish) Predick. Steven was a member of the Leechburg Moose and in the past worked in maintenance for the Pittsburgh Airport. He enjoyed music and spending time with his family and friends. Steven is survived by his brother Milan Predick of Leechburg and his cousins David (Katrina) Egyud of Texas and Joe Egyud of Chicago. He is preceded in death by his parents. Family and Friends will be received on Sunday, January 13, 2019 from 12:00 pm to 1:00 pm at The Janette L. Gamble Funeral Home Inc. 2842 River Road Vandergrift, Pa (724) 567-7006. Intermit will take place at St. Nicholas Cemetery in Millvale. Online condolences may be made at Gamblefh.com. To send flowers or a remembrance gift to the family of Steven Matthew Predick, please visit our Tribute Store. Family and Friends will be received on Sunday, January 13, 2019 from 12:00 pm to 1:00 pm at The Janette L. Gamble Funeral Home Inc. 2842 River Road Vandergrift, Pa (724) 567-7006. "Email Address" would like to share the life celebration of Steven Matthew Predick. Click on the "link" to go to share a favorite memory or leave a condolence message for the family.